When the app will return? 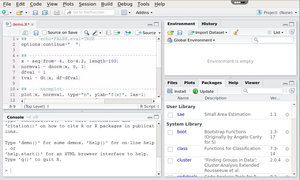 RStudio is integrated development environment (IDE) for R, a programming language for statistical computing and graphics. Due to trademark restrictions we cannot offer RStudio in our applications catalog. 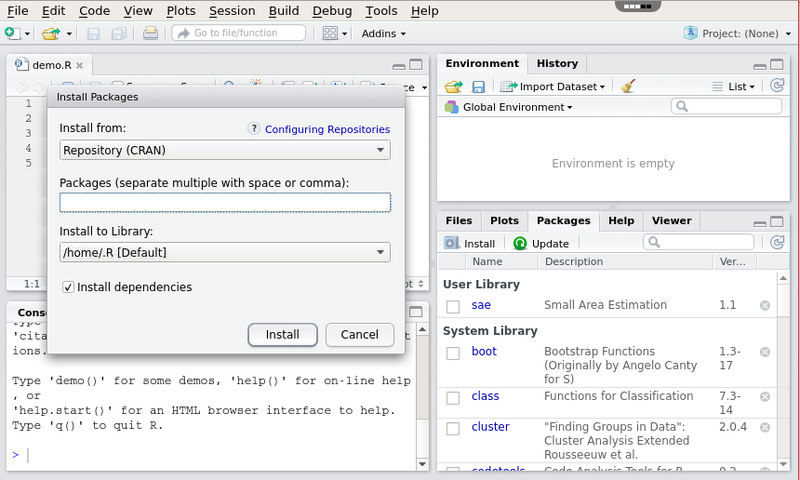 You can download RStudio Desktop for your platform from the download page on rstudio.com. 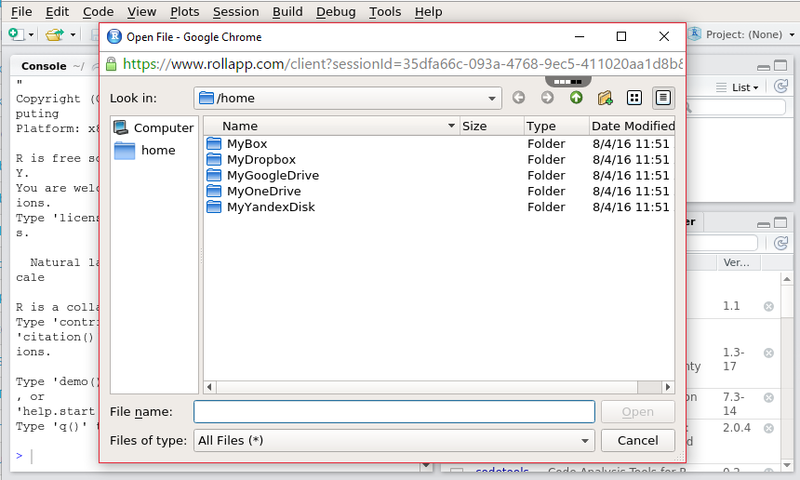 To work with R in the cloud you can use RKWard on rollApp. I cannot open it anymore! Can't open it anymore. Stand closed by the server. Trying to learn R with swirl. Won't allow you to change working directory while working in swirl. Which makes being able to use swirl pointless I think. This looks awesome, but on my chromebook I haven't managed to find how to key in " (quote) as in install.package("rattle"). Quote renders as a space. Generally fantastic when I am on my Chromebook. Amazing to access data on my Google Drive from this app. Many packages will install but some packages will not install. Running like a charm. installed ggplot as a test right off the bat, and that is going already. Incredible and thank you. Can't install xml2 (which means anything that requires linux libraries that are not part of the stock Roll VM are't going to work). Pretty huge miss. 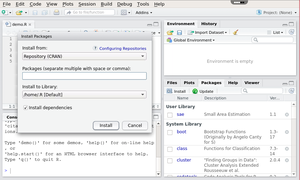 Its awesome so far as I tried to run dev shinyApp behind firewall via RStudio Server and it doesnt work. And rollApp resolve this! Kudo! Awesome tool, I can use data from my Gdrive and URL which is nice. It's even possible to install packages ! However, you might encounter this difficulty : https://getsatisfaction.com/rollapp/topics/install-r-packages So stoked that I can do everything I want with a $200 chromebook ! Could we install package or not, and how which type ? Very Useful and does almost everything needed. No issues yet, Cheers! 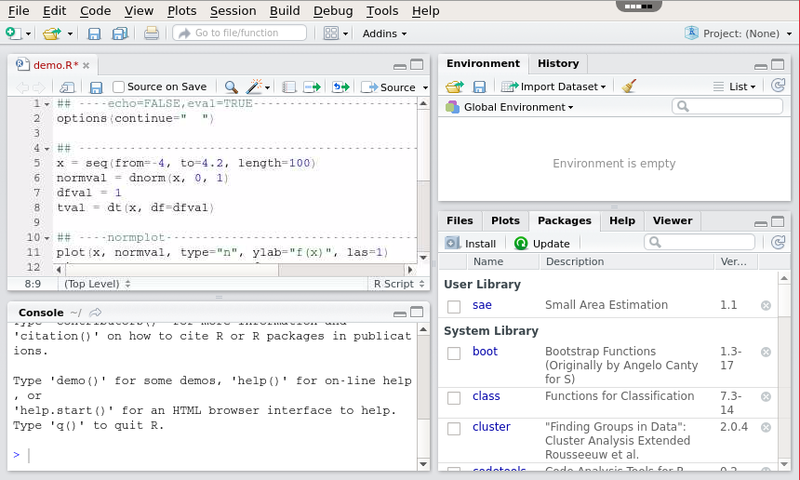 It's has very good user interface like original r studio. Install packages - pleeeeeeeeease. Then it will be perfect. looks good but doesnt work.... I am unable to install packages. please contact me to sort this out. The best R GUI right in your browser, wherever you go. Could use some more packages preinstalled though (or allow me to install them myself).